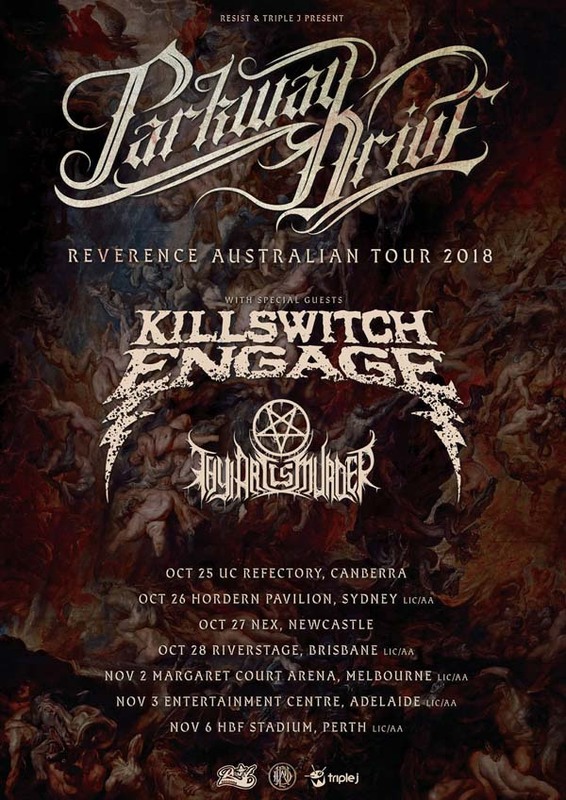 ​Byron Bay's Parkway Drive have announced an Australian tour in support of their sixth studio LP, Reverence. Accompanying them on the seven date run will be American metalcore giants Killswitch Engage and fellow countrymen Thy Art Is Murder. Today's tour announcement follows news that Reverence achieved #1 position on the ARIA chart - their fifth ARIA top ten debut and second consecutive #1- placing them in esteemed company alongside some of the biggest Australian bands of all time.